Where I work, we have an outdoor area that could be very nice. There is a covered deck, surrounded by a nice fence, and quite an open space. However, it is rock, with weeds mixed in. There is not much to look at, but it has SO much potential. 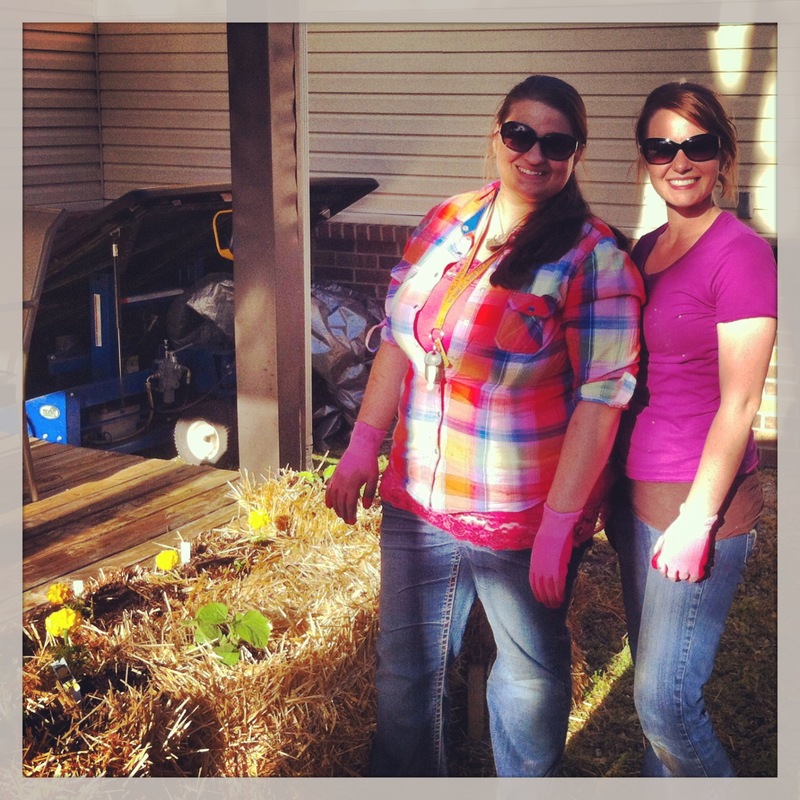 After a conversation with my boss and coworker, we decided to finally take advantage of that area – and the “Straw Bale Garden” was born! Then the fun started. 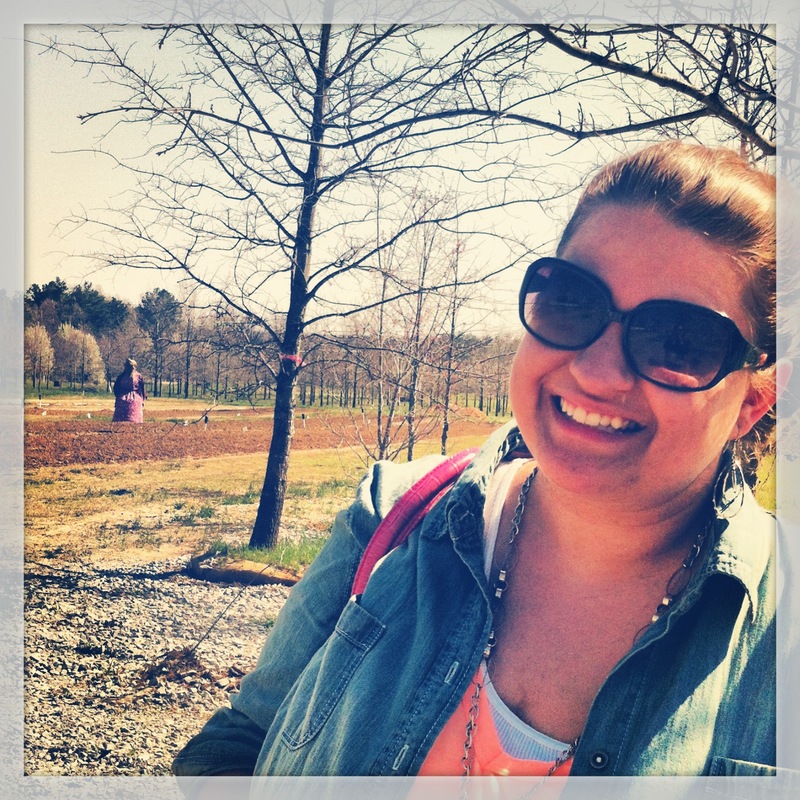 Last Friday, we blocked out the afternoon and went shopping for straw bales! 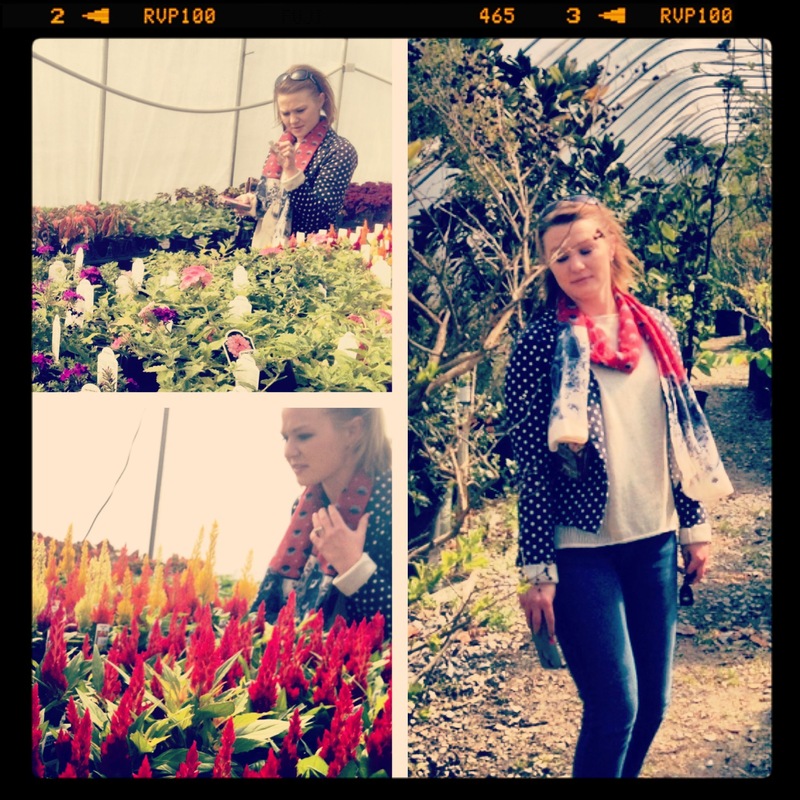 Our organization supports local businesses, so of course local nurseries were our first stop! All week we watered and prepped the bales of straw to get ready to plant. 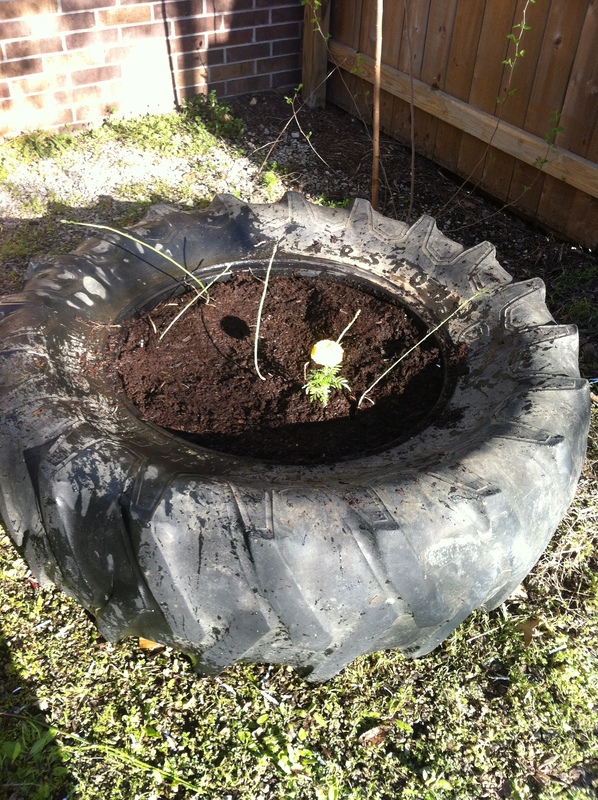 We also set up two tractor tires to use for the asparagus and strawberry plants. Today, we once again made the trip out to a local nursery and bought the plants. Then the planting began! We got everything planted except for the salad greens and strawberries – that is to come! See below of the work done so far, and I will be sure to keep you updated on the straw bale garden! 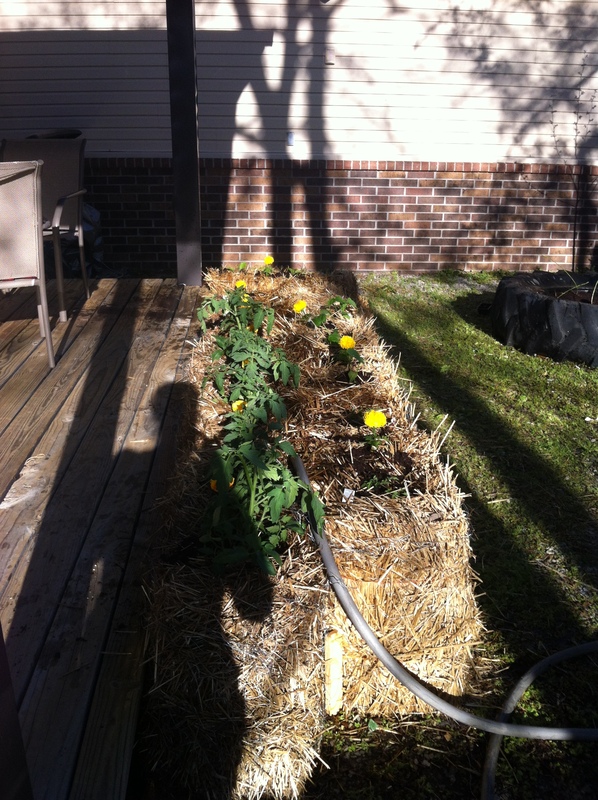 For specific information regarding the wonders of straw bale gardening, check out Emily’s blog at elephantgrace.com. 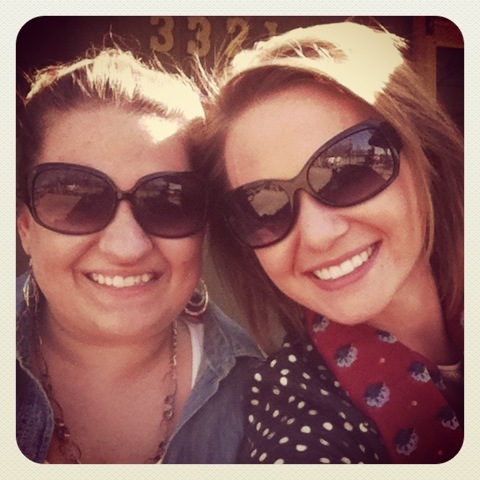 Garden Dream Team workday outside the office! @elefantgrace and her creepy scarecrow! Obviously @elefantgrace is the professional! I looked confused or ran into things the majority of the trip! Prepping the tractor tire. 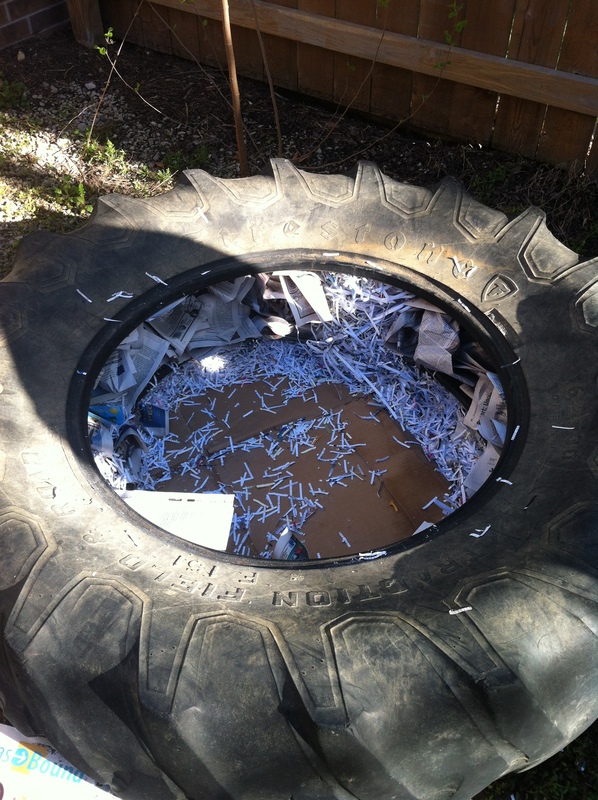 “Reusing” cardboard, shredded paper, and newspaper to fill in the space.